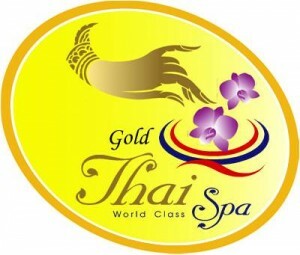 THANK YOU Ministry of Health to give us “GOLD”Award for SPA World Class Selection to CHIIDA SPA. 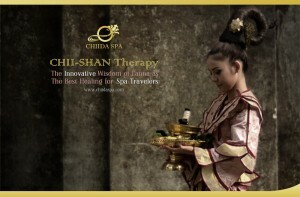 Moreover, to give more value and healthy to the customer with NEW Innovative Wisdom of Thai- Lanna as the best healing for SPA Travelers, we created a new therapy techniques that called and named “CHII-SHAN” Therapy, is the one of top 10 therapies that is fine selected and supported by SME Efiiciency Improvement of SPA service project in Thailand. CHII-SHAN Therapy 2 hrs with the mix balanced from TaiYai Massage and JU-Kang(Fresh herbal ball Hot compress)Therapy by using Thai Lanna ancient origin techniques to rebalance and relieve the pain from office syndrome , Jet lag and back bone problem with excellent efficiency that suit for Travelers, Air Hostress, Pilot and Business officers. It was suggested that Tai were the first to migrate from their original seat in Central Asia towards the south and to settle along rivers Mekong (Myanmar/ Thai), Menam, Irrawaddy (Myanmar) and Brahmaputra (Assam). By A.D.18 (early Christian era), Tai already had their first seat in on the Shwele river (at China-Myanmar border) and then the Tai (Shan) dominion gradually extended in the country of Irrawaddy (now known as Union of Myanmar). Today, most of the Shan inhabit the Shan State in North-East of Myanmar. The main benefits and purpose is to healing and relieve the pain of office syndrom, jet lag, imsomnia and Blood Pressure balancing.